ellehermansen: Mourning for Michael - I will never stop singing. These last few days have brought heartbreak and overwhelming sadness all around the globe of the death of Michael Jackson. I never knew the man personally, but I do know that he was one of a kind. A musical genius, and a master of imagery. I grew up listening to his music on my dad's old record player with these over-sized earphones I plugged in while sitting in a corner. MJ, was a man in the spotlight at aged 6 and was more like an animal behind glass for his whole life. As a child I had many thoughts and dreams about Micheal; his kind and gentle soul. It is so unfortunate that the people he surrounded himself with were like vampires - sucking all that he had and no one ever gave back to him. Now, they will have his body displayed at a place where his dreams of grand things and his childlike happiness were crushed years ago. Neverland could have been pure Epic. Why couldn't we have showed him more appreciation then? It was bittersweet to see the last photos the night before his death for his "This is it" concert. He smiled and looked very happy. I guess he died with what he loved doing best. 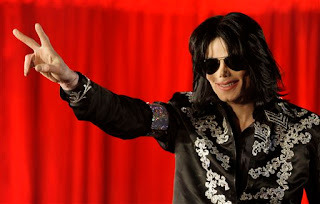 Making his fans happy and most importantly - himself... We will never, ever forget you, King of Pop! Peace.